With the passage of Hurricane Florence and the copious amount of precipitation associated with it, conditions are right for a population explosion of mosquitoes. Anything that can hold water can become a potential site for mosquitoes. Items such as discarded tires, flower pot trays, bird baths, untreated swimming pools, empty food cans, unused pet watering dishes, and standing water puddles are ideal sites. In addition, if they can find a way in, pooling water in crawl spaces can become an ideal breeding ground. One of the most prolific mosquitoes found in our area is the Asian tiger mosquito. It is a relatively small mosquito, easily recognized by its shiny black scales and distinct silvery-white scales on the mouthparts and bands on the tarsi. There is also a very distinct single white bar on the top of the thorax. The life cycle, depending on temperature, can be completed in as little as 2 weeks. 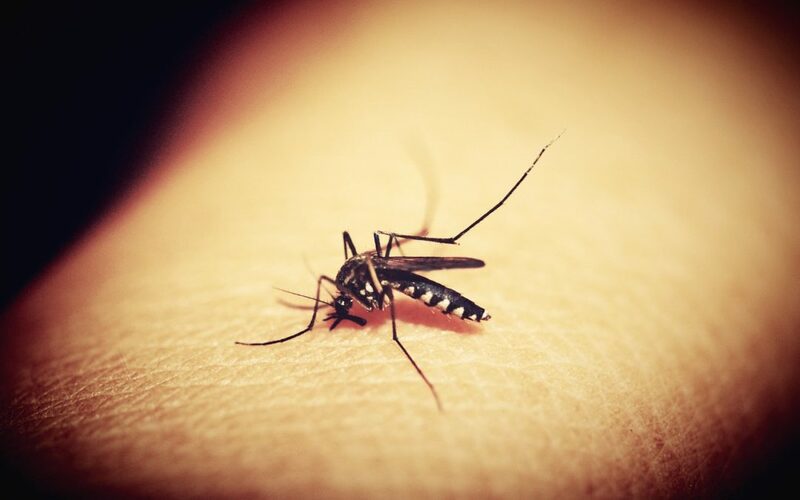 It is one mosquito that bites during the day with peak feeding times in early morning and late afternoon. To mitigate problems from this mosquito, eliminate any standing water pools on the property. Change the water frequently in flower pot overflow trays, animal watering dishes, and bird baths. Do not let water accumulate in tires (punch drainage holes in them), flower pots, gutters, or buckets. Put screening over the opening of rain barrels. In crawl spaces, install a moisture barrier and dehumidifier, and plug any holes n the foundation that allow water to flow into it. Although the Asian tiger mosquito has been shown to carry 30 viruses under laboratory conditions, it is not an efficient vector in the wild. For this reason, it is not considered to be a serious public health risk.